The last box has been packed, the moving truck has pulled away and your now former tenant is on his way to his new home, so you are ready to return his security deposit, right? Not so fast – some damage can’t be spotted during a simple walkthrough, and may end up costing you money down when you get your home ready for new residents. Some wear and tear is normal, but here are some of the things you should check before returning the deposit. Vermin: Mice, bugs and even rats won’t be visible during a 5 minute walkthrough, but their droppings and signs may be. Learn what to look for, including mouse and rat droppings and where you’re likely to see it. Since you have some time before you are required to return the deposit, wait a few days to see if there are any droppings or bugs before refunding. Setting a trap or two may also let you know if your tenant has left any unwanted guests behind. Hidden damage: Open every cabinet door and closet and make sure any build in features are still intact .A tenant that has broken the main shelf in a coat closet may have simply inserted the supports back into the wall; the first time you try to use the shelf it will come crashing down. Check for cabinets and drawers that no longer close properly, damage to build in features and shelves and other problems that may not be immediately apparent. While renters of either gender can over stack shelves, male tenants can damage cabinets and doors by opening and closing with too much force, so make sure everything closes correctly before refunding a full deposit. Normal wear and tear is expected, but damage that destroys the carpeting needs to be noted and charged to the former tenant. Typical carpet damage includes cigarette or other burns, pet stains (even if no odors are present), food or paint stains that can’t be removed by cleaning and other permanent damage. If you see visible carpet damage, look underneath and make sure the subfloor hasn’t been damaged as well; water and urine can both soak into the floor and cause structural damage that may look minor on the surface. Odors: Air cleaning products or room fragrances may mask pet or smoke odors; wait a few days for any fragrance to dissipate, and then take a good sniff. If you spell cat dander, urine or feces or cigarette smoke after a few days, you’ll likely need to have the unit professionally cleaned. This damage can be deducted from your tenant’s security deposit, but only if you wait until any fragrances designed to mask unpleasant odors have dissipated. Missing items: If you haven’t been inside your unit in a year, you may not realize that some items have gone missing. Review an inventory or video walkthrough of the unit before you evaluate it for the security deposit return. Blinds and fine draperies go missing most often, but make sure the appliances are still intact, and that they are the appliances the unit was outfitted with. In some cases, tenants have moved with high quality laundry or kitchen appliances and left inferior items in the original place. Make sure that your original appliances are intact and still work before returning a deposit. Depending on where you live, you have anywhere from 2 weeks to 30 days to return the deposit; review your state laws and follow them. Don’t feel rushed, even if your tenant is anxious about getting a refund. Some signs of damage won’t be readily apparent or show up until a few days have passed. 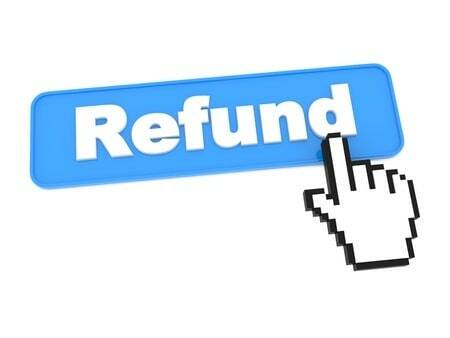 If you neglect to do a thorough check of your home before offering a refund you could make an expensive mistake.